Delegates are requested to book directly with the appropriate Hotel of their choice through their travel agents. And there is a possibility of low cost accommodation available for some like students. The Local Organizing Committee has made special efforts to provice a new acommodation choice (Special Ellaa Suites). Local Organizing Committee has made special efforts to get good AC hotel accommodation which is 300mtr distance from ISB (main conference venue) and IIIT-H (workshops/tutorials venue). In fact, this location is mid-point to both these locations and ranges from USD $100 to $150 per night. Please send your e-mail requests to ijcnlp08acco@iiit.ac.in. Payments can be made directly to the undersigned. Limited student hostel/guest house accommodation (AC & Non-AC) is being arranged by IIIT-H. All allocation will be done by the Sectratariat on First Come First Serve basis. In case of any queries, please mail us to ijcnlp08acco@iiit.ac.in. Click here to Register for this accommodation. A detailed list of major hotels in Hyderabad is available below for delegates to book directly with the appropriate hotel of their choice through their travel agents. 15 Km from Begumpet Airport . 287 Guest Rooms, 129 Standard Fountain View Rooms, 106 Standard Lake View Rooms, 18 Executive Fountain View Rooms, 19 Executive Lake View Rooms, 11 Junior Suites, 2 Executive Suites, 2 Premium Suites. 4 Km from Begumpet airport, 8 Km from Secunderabad railway station and bus station. 142 Rooms, 118 Superior Rooms, 26 Deluxe Rooms, 29 Taj Club Rooms, 8 Executive Suites, 4 Deluxe Suites, 4 Luxury Suites and 1 Presidential Suite. 2.5 Km from Begumpet airport, 6.5 Km from Secunderabad railway station and bus station, 189 Rooms, 43 Corporate Floor Rooms, 73 Executive Club Rooms.29 Sheraton Towers, 19 Club Suites, 1 Luxury Suite and 1 Presidential Suite. 4km from Begumpet airport, 8 Km from Secunderabad railway station and bus station, 142 Rooms, 96 Standard Rooms, 41 Residency, 2 Executive Suites and 3 Deluxe Suites. 5 Km from Begumpet airport, 4.5 Km from Secunderabad railway station and bus station, 309 Rooms, 201 Deluxe Rooms, 40 Lake View Rooms, 56 Executive Business Rooms, 10 Deluxe Suites and 2 Corporate Club Suites. 1 Km from Begumpet airport, 4 km from Secunderabad railway station and bus station. 135 Rooms, 39 Executive Clubs, 15 Junior Suites, 73 Superior Rooms, 8 Deluxe Suites & 1 Presidential Suite. 3 Km from airport, 6 km from Secunderabad railway station, 148 well furnished rooms, 24 hours check out. Sight seeing tours on request. Secretarial services and business facilities. Travel assistance & car rental. Sight seeing tours on request. Data port in the room. Hotel Amrutha Castle is situated right opposite the State Secretariat at Saifabad, it is about 20 minutes drive from the Hyderabad Airport . The significant landmarks en-route to Hotel Amrutha Castle are Somajiguda Circle , Necklace Road , British Library and the A.P. State Secretariat. The Hotel is about 6 kms from the Airport. 6.5 Km from Begumpet airport, 13 km from Secunderabad railway station, 157 Rooms, 18 Twin Single Rooms, 134 Executive Single Rooms, 2 Executive suites and 3 Deluxe suites. 7 km from Begumpet airport, 8 km from Secunderabad railway station and bus station, 95 Rooms, 38 Deluxe Rooms, 36 Executive Club, 9 Junior Suites, 6 Executive Suites and 3 Residency Suites. 4.5 Km from Airport, 7 Km from Secunderabad Railway station, 144 beautifully appointed rooms including 108 Deluxe Rooms, 28 Fortune Club Rooms, 6 Deluxe Suites and 2 Club Suites, 24 hours Room Service, Doctor on call, Computerized check in /check out fully equipped business center with Internet access, Swimming Pool. 7.5 Km from Begumpet airport 7Km from Secunderabad railway station and bus station. The hotel has 77 spacious and well appointment rooms. The other facilities include Multi-cuisine restaurant, Coffee shop, Ice Cream Parlour, and Pub. The hotel also offers Banqueting & Conference facilities. 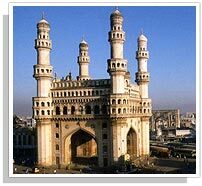 4.5 Km from airport, 8 Km from Secunderabad railway station, 24 hours check out time. Money Exchange facility, Health Club, Business Center, Airport and Railway Station transfer on request. Personalized valet and mini bars. Barely a Km from Airport and 4 Km from Secunderabad Railway Station, 77 Rooms, 77 Seatre Multi Cuisine Vegetarian Restaurant serving Indian, Chinese, Continental and Hyderabadi Delicacies, Money Exchange, 24 hours Room Service. Aditya Park Inn International is strategically located at Ameerpet, Hyderabad 's hub of activity and is approximately 3 km from the airport. The Hotel provides services as Concierge, Currency exchange, facilities for the physically challenged, laundry, Parking, Valet. Aditya Hotel provides Banqueting business centre, Conference rooms and Meeting facilities. It also provides Recreational Facilities like Barber, Beauty salon, Gift/souvenir shop, Health and fitness center, Swimming pool. It has air conditioned rooms with mini bar, Electronic safe, Electric kettle, Hair dryer, Internet connectivity, ISD/STD, Telephone, Bathtub, Rollaway bed/s, Cable TV, VCR. The Hotel Comfort Inn Woodbridge is located at Lakdi-ka-pul, Hyderabad and it's about 5 Kms from the Airport. The main landmarks on enroute are Somajiguda Square , Punjagutta Square and Lakdi-ka-pul. Prepaid Taxis will charge you around Rs 250/- to the Hotel from the Airport. Residence Hyderabad is a 40 room boutique hotel, located on the banks of Hussain Sagar Lake. The Residence is in the close proximity to business districts of Hyderabad and Secunderabad and just 4 kilometers from the Airport.